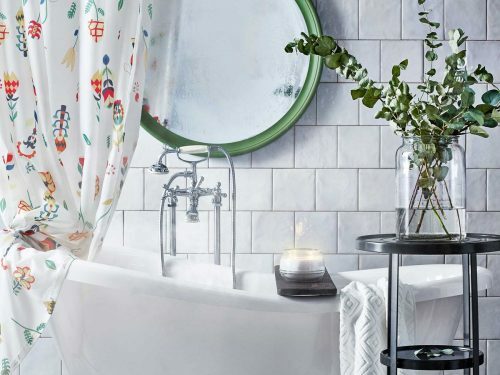 Before you even think about styling your empty home, there’s one thing you simply must do first, that is if you want your space to appear cohesive and refined when complete. 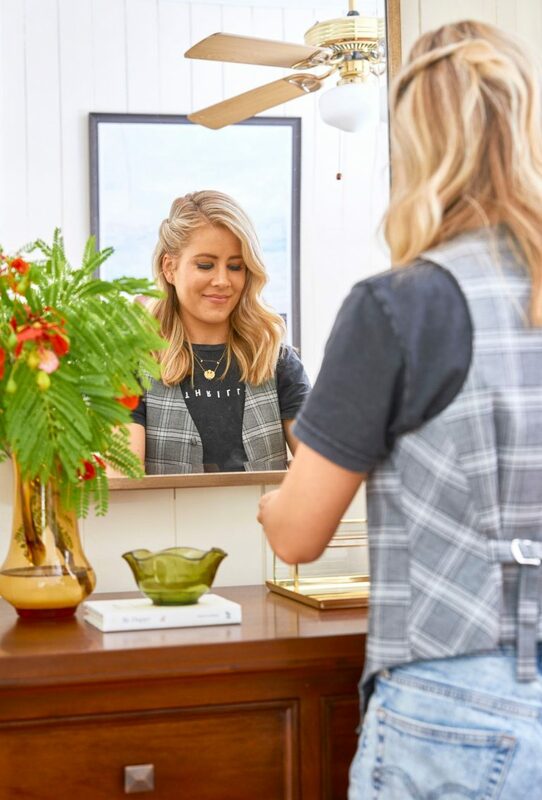 Carlene says creating a mood board in the pre-styling process is so important for you as a designer for refining your vision and keeping you on track with your chosen theme. 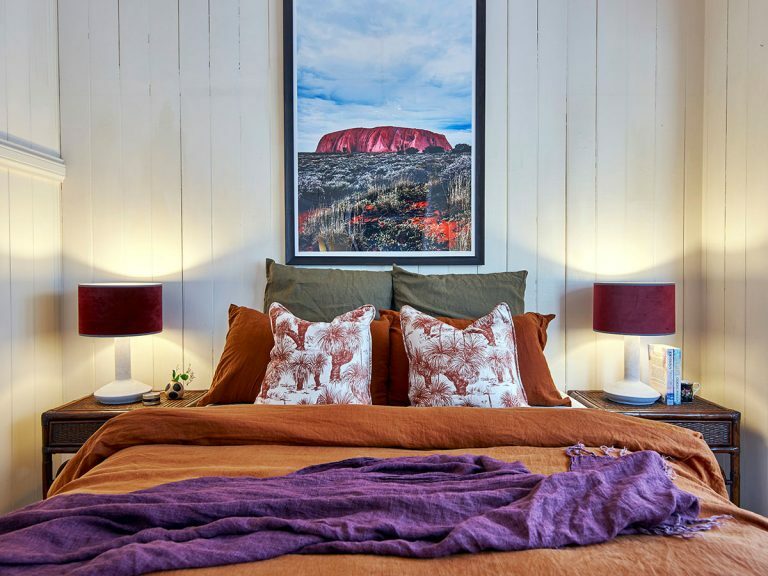 Designers and renovators Michael and Carlene Duffy transform the master bedroom of this charming Queenslander from an empty space into a warm and cosy room using one single source of inspiration: A print of iconic Uluru. “I found this incredible print and allowed it to dictate the colours. Some of which I perhaps wouldn’t have considered pairing together had I not seen that they could work so well in the print,” says Carlene. 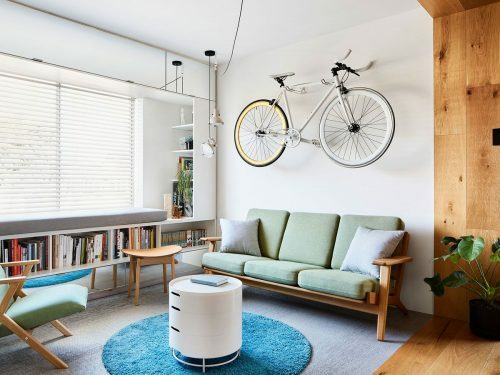 Pinning images you like is the easy part, but the challenge lies in curating those pics to land on a handful that you’ll ultimately use as the guide for styling your space. Let’s say you finish decorating your space according to the mood board you created at the start. What happens if, after a few years, you decide you want a change? 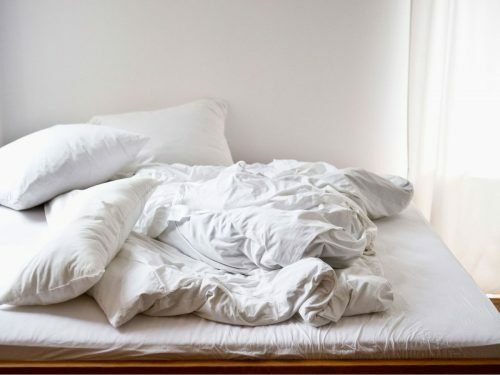 How do you ensure you’re not married to one colour palette and can maintain flexibility as your space grows? But more than that, Carlene says the urge to change up the look of your space tends to disappear if you create one you love from the start. This article is repurposed from Why you need a mood board to help style your home by Katie Skelly. Author at realestate.com.au.